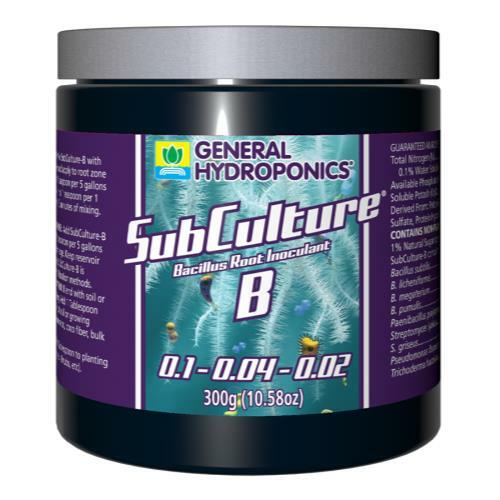 SubCulture-B is a bacterial root inoculant that’s packed with beneficial microorganisms. The supplement works to increase vitality and yield in all plants. 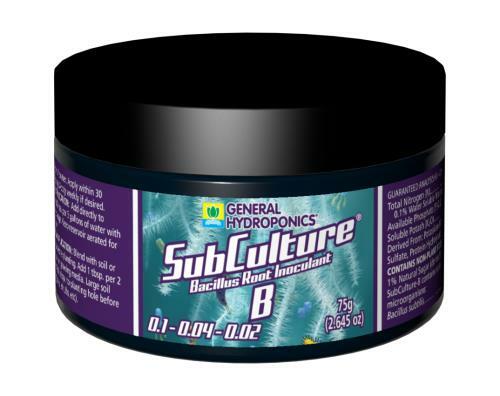 The bacteria in SubCulture-B are cultured in a highly salt-tolerant environment, so they work well with mineral-based nutrients (a vital part of coco systems in particular). The strains maintain symbiotic relationships with plants and strengthen the soil-food web that gives plants their solid foundation. In addition, these bacteria allow plants to ingest nitrogen, carbon compounds and sulfur, and turn those essential components into key compounds for growth. Beneficial bacteria help recycle nutrients back to the plants. Without these nutrients, plants would have a much harder time trying to access certain minerals and compounds. 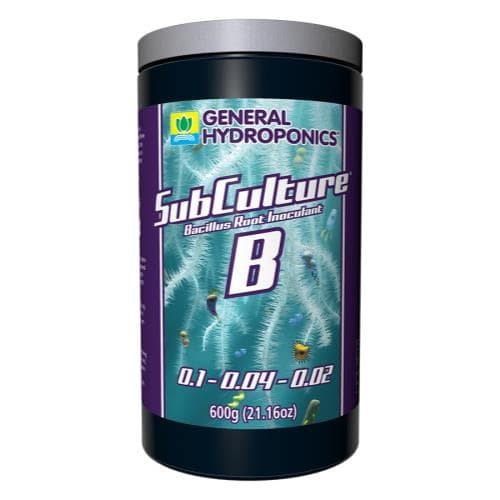 SubCulture-B has the ability to sequester and absorb these elements so plants can use them more easily. This results in a steadier rate of growth as well as more buffered pH levels in the soil. Our cutting-edge root inoculant can be dusted on roots during transplants to increase plant immunity, reduce the stress of transition and strengthen root growth for more predictable growing.